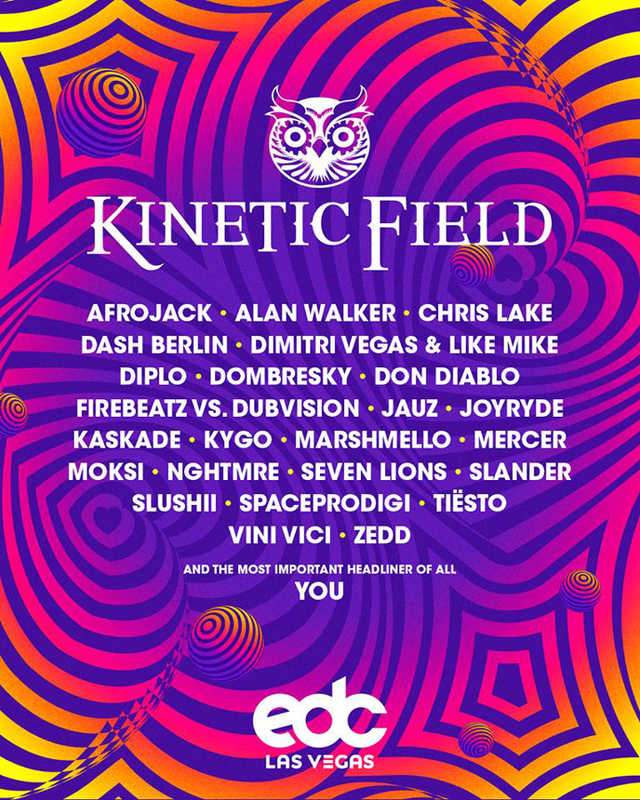 Each year, kineticFIELD takes on a new form built around a specific theme. The last few have seen EDC pay respect to mother earth via GAIA, straddle the line between nature and technology by way of CRYSTAL VILLAGE, and go to church at the CATHEDRAL. LOVE is taking center stage in May, and the concept is going to spawn a beautiful, swoon-worthy design. Before the veil is removed in a few months, you can start to feel kineticLOVE in all its glory by hitting play on a playlist featuring all of the artists slated to take us where we need to go. EDC Las Vegas 2018 takes place Friday, May 18, through Sunday, May 20, at Las Vegas Motor Speedway. Tickets are on sale now. For more information, visit the official website.